Nintendo has announced a new version of the Nintendo DS, i.e. Nintendo DSi. The DSi is slightly thinner than its predecessor and comes with a series of improvements. Nintendo DSi comes with larger screen which is 17% bigger than those on the DS Lite. The audio is enhanced and now it also comes with a 0.3 megapixel (640×480) camera. The DSi comes with a SD memory card which makes it possible to take pictures with the DSi and then view them on the Nintendo Wii. Furthermore, the device features a built-in browser, and it’s possible to download games and keep them on the DSi. With the device, the user can download DSiWare from “DSi Shop”. Pricing categories for the DSiWare are: Free, 200 points, 500 points and “Premium” or 800 points. Customers will get 1000 free points to spend at the DSi Shop that are good until March 2010. 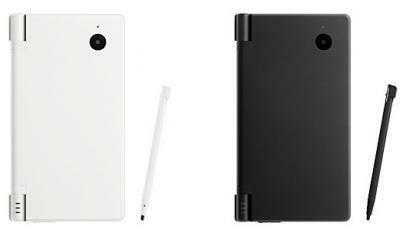 The DSi will be released in Japan on November 1 at the price of ￥18,900 (USD$180). It comes in two colours, i.e. white and black. It will be released in other markets sometime “next year”. Two 3.25-inch screens – 17% bigger than the DS Lite model. One 3-megapixel camera, maximum resolution 640×480 (photos editable using stylus). No GBA support, but replaced by an SD slot! Overall 12% thinner than the DS Lite. Opera web browser now built-in as part of the firmware. Some DSiWare free, others will cost 200/500/800 Points, with 1000 initially free to all. Improved audio capabilities – pitch and playback options added. Releasing in black and white “flavours”.